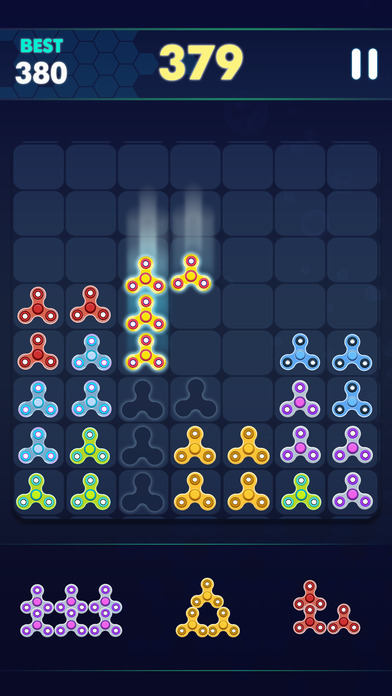 Fidget Spinner Puzzle helps you relax and relieve stress which fill and remove the 10 square blocks. 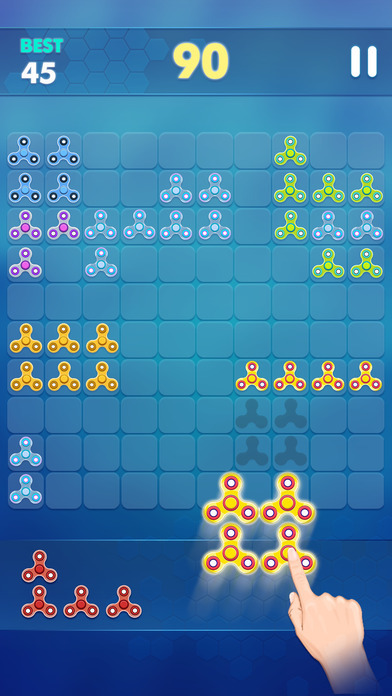 The brain game that improves your concentration puzzle game that anyone can enjoy. 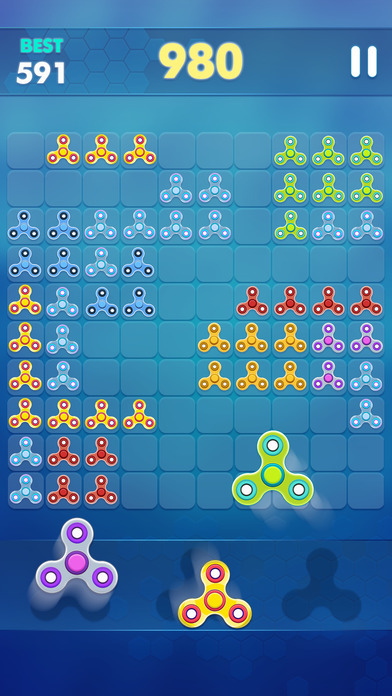 The goal is to drop fidget spinner blocks in order to create and destroy full lines on the screen both vertically and horizontally. Don’t forget to keep the blocks from filling the screen. No need to consider block colors, but shapes and space. And no time limitation, you can think slowly. 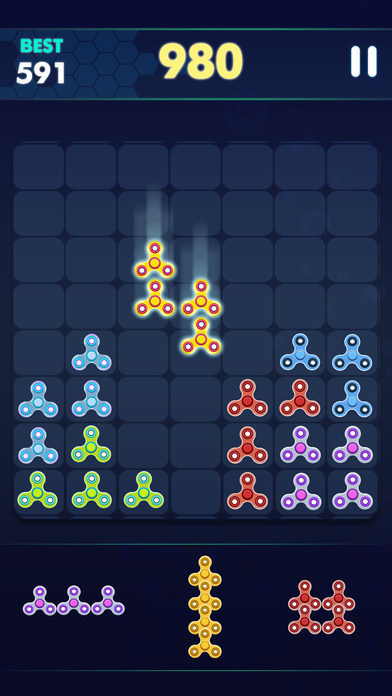 Start to enjoy Fidget Spinner Puzzle now! 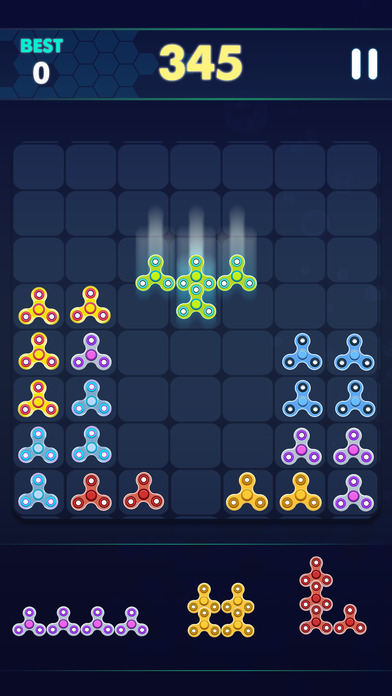 — Classic mode: You can remove the block and record the competition. — Stage Mode: You can proceed to stage 200 step by step.